2- Connector under dr. side lower dash panel to test resistance of sensor with key in ignition. 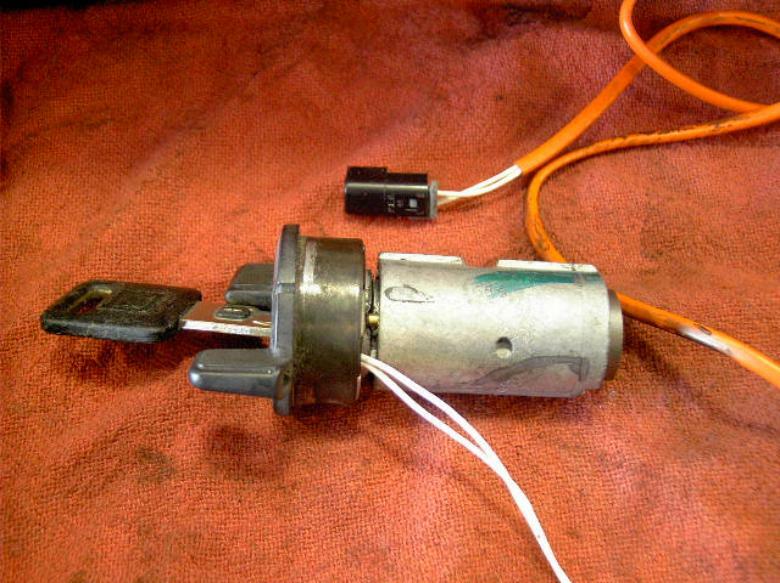 Open circuit means wires are probably broken, and replacement of ignition cylinder is needed. The older theft system on many Oldsmobile, Chevy and Buick model cars is known as the Chip-In-Key. This was used in the early to late 1990's. The correct name for this system is Passkey, or Passkey II. A very common problem that happens on this system is broken wires. This will cause your car to either not crank, crank ans stall out right away, or not crank at all. It depends on when the failure occurs. Sometimes you may notice that the light comes on now and again while driving with no other problems. Then one day it won't start. Then after a few minutes it will start fine. This is usually because the steering wheel was turned or tilted and the wires touched again enough to let the car start. There may be codes stored int he computer, but not always. The repair for this is to replace the ignition cylinder. The wires cannot be repaired since they break right where they come out of the cylinder. There be also be a new key with the cylinder. The key will have to be the same chip number as the original. The parts department will have to look up the number by using the VIN number of the car.